Nutritional science is the study of the effects of food components and its molecules on the metabolism, health, performance and disease resistance of humans and animals. Nutritional science studies how the body breaks food down (catabolism) and repairs and creates cells and tissue (anabolism) -- catabolism and anabolism = metabolism. Nutritional science interprets the interaction of nutrients and other substances in food (e.g. macronutrients, minerals, phytonutrients, anthocyanins, tannins, etc.) in relation to maintenance, growth, reproduction, health and disease of an organism. It includes food intake, absorption, assimilation, biosynthesis, catabolism and excretion. Nutritional science focuses on how diseases, conditions and problems can be prevented or lessened with a healthy diet. In addition, nutritional science involves identifying how certain diseases, conditions or problems may be caused by dietary factors, such as poor diet (malnutrition), food allergies, metabolic diseases, etc. And, as molecular biology, biochemistry and cell biology advance, nutritional science has become more focused on the steps of biochemical and biological sequences through which substances inside us and other living organisms are transformed from one form to another via metabolism and metabolic pathways. The diet of an organism is what it eats, which is largely determined by the availability, processing and palatability of foods. A healthy diet includes preparation of food, meal planning and storage methods that preserve nutrients from oxidation, heat or leaching, and that reduce risk of food-born illnesses. A poor diet may have an injurious impact on health, causing deficiency diseases such as scurvy; health-threatening conditions like celiac disease, obesity and metabolic syndrome; and such common chronic systemic diseases as cardiovascular disease, diabetes, and osteoporosis. Similarly, a good diet may have a positive impact on health, causing an improvement in one's health and improving one's ability to live a life of wellness. Note: Nutritional science also incorporates the elements of social science to explore the connection between diets, food choices, habits, lifestyle, finances and health. The human body requires six major types of nutrients -- 4 macronutrients and 2 micronutrients -- where a nutrient is a source of nourishment, a specific molecule or component within a food. Macronutrients are nutrients we need in relatively large quantities. Micronutrients are nutrients we need in relatively small quantities. The building blocks of carbohydrates are saccharides such as glucose. The building blocks of proteins are amino acids such as lysine. And, the building blocks of fats are fatty acids such as linoleic acid. Carbohydrates are the most abundant biological molecules, and are an important nutritional component of many foods. Carbohydrates consist of glucose molecules of carbon, hydrogen and oxygen atoms. Carbohydrates include monosaccharides (glucose, fructose, galactose), disaccharides, oligosaccharides, and polysaccharides (starch). Carbohydrates are classified according to size. The smallest carbohydrates are called monosaccharides ( mono means "one"; saccharide means "sugar"). The largest carbohydrates are called polysaccharides ( poly, means "many"). As the name implies, monosaccharides are single sugar molecules. The most common monosaccharides, such as fructose and glucose, have six carbon atoms, but monosaccharides can have as few as three or as many as seven. Monosaccharides with five or more carbons usually have a ring-shaped structure when they are in a solution. Oligosaccharides ( oligo means "few") are more complex carbohydrates composed of chains of two or a few (up to about twenty) simple sugars joined with a type of covalent bond called a glycosidic bond. Polysaccharides ( poly, means "many") are important energy-storage and structural molecules. They are formed of long chains of sugars, most commonly glucose. Carbohydrates serve many purposes, from producing energy to structure to chemical communication. Carbohydrates are at the center of cellular metabolic pathways. The most fundamental process, glycolysis , uses glucose to produce energy for cellular needs. Key food sources for carbohydrates include: vegetables, fruits, whole grains, cereals, breads, baked goods, starches, pastries, sweets, soft drinks, juices, and foods made with flour and sugar. Proteins are chains of amino acids that fold into a three-dimensional shape. Proteins consist of molecules that contain nitrogen, carbon, hydrogen and oxygen. Simple proteins, called monomers, are used to create complicated proteins, called polymers, which build and repair tissue. Proteins are probably the most important class of material in the body. Proteins are not just building blocks for muscles, connective tissues, skin, and other structures. Proteins are also needed to make enzymes. Enzymes are complex proteins that control and carry out nearly all chemical processes and reactions within the body. The body produces thousands of different enzymes. Thus, the entire structure and function of the body is governed by the types and amounts of proteins the body synthesizes. Protein synthesis is controlled by genes, which are contained on DNA molecules called chromosomes. Proteins (including their lipoprotein and glycoprotein forms) constitute 10 percent of the weight of the blood plasma of living organisms, carrying various nutrients throughout the body and acting as signals to coordinate bodily functions between the different organs. The amino acids of a protein are connected to each other by peptide bonds. Each amino acid has several common features: an amino and a carboxyl chemical group both bonded to the alpha carbon (Cα) and an R group that defines a particular amino acid. From a nutritional perspective, the key types of proteins are: plant, animal and dairy. Proteins are made up of building blocks called amino acids. There are 20 different amino acids that join together to make all types of protein. The (9) essential amino acids are: histidine, isoleucine, leucine, lysine, methionine, phenylalanine, threonine, tryptophan, and valine. The (11) non-essential amino acids are arginine, cysteine, glycine, glutamine, proline and tyrosine; alanine, aspartic acid, asparagine, glutamic acid and serine. A complete protein source is one that provides all of the essential amino acids. Animal-based foods such as meat, poultry, fish, milk, eggs, and cheese are considered complete protein sources. An incomplete protein source is one that is low in one or more of the essential amino acids. Complementary proteins are two or more incomplete protein sources that together provide adequate amounts of all the essential amino acids. Key food sources for proteins include: vegetables; eggs; nuts and seeds; legumes (dry beans and peas); soy (tofu, tempeh, miso); blue-green algae (spirulina); dairy (milk, cheese); animal meats, poultry, fish; and, whole grains. From a cell biological perspective, the key types of proteins include: hormonal, enzymatic, structural, storage, transport, receptor, and contractile. These proteins support the function, growth and maintenance of all our cells and body tissues. Structural: Also known as fibrous proteins, these are the largest class of proteins that include collagen, keratin and elastin. These protein types serve as essential components to your body's construction. Keratin and collagen are the most common structural proteins. Collagen forms the connective framework of your tendons, bones, muscles, cartilage and skin. Keratin is the main structural component in your skin, nails, hair and teeth. Hormonal: Hormonal proteins act as chemical messengers secreted by the cells of the endocrine glands. Usually transported through the blood, hormones act as chemical messengers that transmit signals from one cell to another. Each hormone affects certain cells in your body, known as target cells. Enzymatic: Enzymes serve as biological catalysts needed for chemical reactions, including liver functions, stomach digestion, blood clotting and converting glycogen to glucose. An example is digestive enzymes that break down complex food molecules into simpler forms that your body can easily absorb. Amylolytic digestive enzymes reduce carbohydrates and starches to glucose and proteolytic enzymes reduce proteins to amino acids. Defensive: Antibodies, or immunoglobulins, are a core part of your immune system, that protects your body from pathogens and other foreign substances, keeping diseases at bay. Antibodies are formed in the white blood cells and attack bacteria, viruses and other harmful microorganisms, rendering them inactive. Storage: Storage proteins house critical elements that your cells need. Hemoglobin is a vital protein that stores oxygen in your red blood cells. This critical protein is transported to all of your cells and tissues as your blood circulates. Ferritin is a storage protein that houses the crucial element iron, which is required for the formation of hemoglobin, the main structural component of red blood cells. Transport: Transport proteins carry vital materials to the cells. Hemoglobin, for example, carries oxygen to body tissues from the lungs. Serum albumin carries fats in your bloodstream, while myoglobin absorbs oxygen from hemoglobin and then releases it to the muscles. Calbindin is another transport protein that facilitates the absorption of calcium from the intestinal walls. Receptor: Located on the outer part of the cells, receptor proteins control the substances that enter and leave the cells, including water and nutrients. Some receptors activate enzymes, while others stimulate endocrine glands to secrete epinephrine and insulin to regulate blood sugar levels. Contractile: Also known as motor proteins, contractile proteins regulate the strength and speed of heart and muscle contractions. These proteins are actin and myosin. Contractile proteins can cause heart complications if they produce severe contractions. Lipids are a group of naturally occurring molecules that include fats, waxes, sterols, monoglycerides, diglycerides, triglycerides, phospholipids, and others. Lipids contain molecules that consist of carbon, hydrogen, and oxygen atoms. Fats are triglycerides - three molecules of fatty acid combined with a molecule of the alcohol glycerol. Fatty acids are simple compounds (monomers) while triglycerides are complex molecules (polymers). The main biological functions of lipids include storing energy, signaling, and acting as structural components of cell membranes. Lipids play vital roles in many cellular processes including energy storage, vitamin storage, structural cell membrane support, protection, communications, the functioning of nerve cells and acting as raw materials that can be converted to other substances that perform special duties in the body such as hormones. There are 4 major types of fats: saturated, monounsaturated, polyunsaturated and trans fat. Note: Although the term lipid is sometimes used as a synonym for fats, as you can see, fats are a subgroup of lipids. Phospholipids are similar to fats except they have two fatty acid chains bonded to a glycerol molecule and phosphoric acid, with the fatty acid component being saturated or unsaturated. Phospholipids are unique because they have a hydrophobic (water-insoluble) and a hydrophilic (water-soluble) end. Phospholipids are biologically important because they are the main structural components of cell membranes. But, the cell membrane incorporates other lipids, such as cholesterol, that contribute to its structural integrity; and, glycolipids, which help with cellular communications. As a result, there are three common types of membrane lipids: phospholipids, glycolipids, and cholesterol [Structural Biochemistry]. Steroids are structurally different from the other lipids. The carbon skeleton of steroids is bent to form four fused rings that do not contain fatty acids. The most common steroid, cholesterol, is an important component of cell membranes that helps to provide cell structure and integrity. Another popular steroid group is the anabolic steroids that are man-made and mimic the effect of the male hormone, testosterone. Athletes have recently been using these steroids to increase muscle mass, stamina, and strength. Certain beneficial fat-soluble hormones, such as cortisol, are also familiar steroids. Waxes are similar to fats except that waxes are composed of only one long-chain fatty acid bonded to a long-chain alcohol group attached. Both plants and animals use the waterproofing characteristic of waxes. For example, plants most noticeably use waxes for a thin protective covering of stems and leaves to prevent water loss. Saturated fats are fully loaded with hydrogen atoms forming straight chains. More specifically, saturated fats have single bonds between all the carbon atoms, and therefore all the carbons are bonded to the maximum number of hydrogen atoms. These chains are fairly straight and can pack closely together, making these fats solid at room temperature. Examples of saturated fats: butter, coconut oil. Unsaturated fats have some double bonds between some of the carbons in the tail, causing the molecule to bend. As carbon atoms with double bonds are not bonded to as many hydrogens as possible, they are called unsaturated fats. The kinks in the tails mean that unsaturated fats can't pack as closely together, making them liquid at room temperature. Monounsaturated fatty acids (MUFAs) are unsaturated fatty acids that are missing one pair of hydrogens -- they have one double bond in the fatty acid chain with all of the remainder carbon atoms being single-bonded. Examples of monounsaturated fats: olive oil, avocado. Polyunsaturated fatty acids (PUFAs) are unsaturated fatty acids that are missing more than one pair of hydrogens -- they have more than one double bond. Examples of polyunsaturated fats: vegetable oil (corn oil), Omega-3 (fish), Omega-6 (evening primrose oil). Trans-unsaturated fatty acids (trans fats, for short) are a man-made unsaturated fat that is more linear and rigid, where hydrogen atoms are added via a process called hydrogenation causing double bonds to become single ones. Partial hydrogenation results in the addition of hydrogen atoms at some of the empty positions, with a corresponding reduction in the number of double bonds. Examples of trans fats: margarine, fried food, French fries, packaged foods. Vitamins are organic molecules in our food that are essential nutrients for good health. Minerals are inorganic chemical elements required by living organisms, other than the four elements carbon, hydrogen, nitrogen, and oxygen that are present in nearly all organic molecules. Vitamins are organic compounds in food that are required for normal cell function, growth, and development. There are probably hundreds of these organic compounds in the food, but, as of today, we have discovered 13 essential vitamins. These vitamins fall into 2 categories: fat-soluble and water-soluble. Fat-Soluble Vitamins: Fat-soluble vitamins are those that bind to fat in the stomach and are then stored in the body for later use. We are less likely to become deficient in these vitamins (A, D, E, and K), but more likely to build up to toxic levels, usually due to extreme over-consumption or overzealous supplement use. Water-Soluble Vitamins: The rest of the vitamins are water-soluble, meaning they can be absorbed directly by cells. The water-soluble vitamins (Vitamin B-Complex, Vitamin C), niacin, folic acid, pantothenic acid, and the four B complex vitamins — need to be restored more frequently, but the body can tolerate higher doses. When taken in excess, these vitamins are flushed out of our system with each bathroom break. Dietary minerals are the other chemical elements our bodies need, apart from carbon, hydrogen, oxygen and nitrogen. Six minerals are required by people in gram amounts: sodium (Na), potassium (K), calcium (Ca), magnesium (Mg), phosphorus (P), and chlorine (Cl). Daily requirements range from 0.3 to 2.0 grams per day. Nine trace minerals (microminerals) are required by people in minute amounts: chromium (Cr), copper (Cu), iodine (I), iron (Fe), fluorine (F), manganese (Mn), molybdenum (Mo), selenium (Se), and zinc (Zn). Note: The term "minerals" is misleading, and would be more relevant if called "ions" or "dietary ions". Have you noticed that there’s an abundance of nutrition experts with dietary systems and approaches that are vastly different – and yet they lack scientific substance and validation? And, more importantly, these systems don't appear to work in the long run when fighting a disease like Type 2 diabetes. -- Which are the best carbohydrates, proteins and fats for us to eat? -- How do these macronutrients help us to prevent and fight disease? -- How do we design and plan our meals on a daily basis? These questions are answered in other blog posts; and, in the Death to Diabetes book, DTD science ebook and DTD training program. The body must be able to metabolize or break down the macronutrients in order to eventually produce energy for your body. When you eat food, the body digests and breaks down the carbohydrates into glucose, the proteins into amino acids, and the fats into fatty acids. The glucose causes your blood sugar level to rise, triggering the release of insulin. This enables your cells to absorb the glucose; and, along with oxygen, your cells produce chemical energy, called adenosine triphosphate (ATP). ATP is then made available to other parts of the cell so that the cell can do its job and perform all of its functions. Proteins and Fats can be broken down and used as energy sources, but, it takes more work. Cells require a constant supply of energy to generate and maintain the biological order that keeps them alive. This energy is derived from the chemical bond energy in food molecules, which thereby serve as fuel for cells. Sugars are particularly important fuel molecules, and they are oxidized in small steps to produce energy (ATP), carbon dioxide (CO2), water and heat. It’s the wild wild west – everyone’s an expert! There’s a new diet every week! It’s still a young science – meaning nutrition is still developing, and we still don’t truly understand the depth of this science. Experts disagree – and it’s okay as long as you understand the science behind the differences. There's too much selling on the Internet. A lot of times, it’s “marketing” trying to sell something instead of helping people with their health issues. No field in Science operates with universal agreement – that’s just the way it is. You need to build up your tolerance for disagreement and understand it. Scientists can be very passionate, very religious, and very dogmatic. Scientists are just like you and me – they’re human beings. So, don’t strictly rely on them – educate yourself by reading multiple authors and science studies. Nutrition is not respected by most medical doctors; and, that has become a major problem because people are noticing that taking drugs for most health problems isn’t working. As a result, more and more people are looking at Alternative Medicine, especially those aspects of Alternative Medicine that are focused on nutrition. Nutrition is not infallible – a lot of mistakes have been made over the years. Today’s nutrition facts are often tomorrow’s fallacies. For example, we used to think margarine was good for us. We thought butter was bad. We thought all saturated fat was bad. We thought that low fat diets were good for us. We thought that it was okay to put artificial colors in food. We thought that all protein was the same, and all fat was the same. We thought grain was good for everyone. So, what do you do? How do you prevent yourself from becoming a victim of another mistake? The best thing to do is to educate yourself at the lowest level possible; and, read/learn from multiple sources. Humans are still growing and evolving – and so is our nutrition. So it makes perfect sense that we continue to educate ourselves about nutrition and disease. It’s quite useful to note that innovation in the field of nutrition often comes from the outside. Most of what you eat and the foods you purchase didn’t originate in some high-end scientific laboratory or in the hallowed halls of an Ivy League school. Nutrition and dietary innovation is largely a grassroots affair. Here are examples: macrobiotics, the Atkins diet, the Mediterranean diet, the Pritikin diet, the Zone diet, the Paleo diet, The Death to Diabetes diet, veganism, raw foods, cleansing programs, orthomolecular nutrition, the use of supplements and herbs. All of these ideas were brought to you by outsiders, some through ancient wisdom, some from people who have no formal university and scientific education, some from doctors who were considered to be on the fringe of quackery, and some from people who were desperate because they were dying from a chronic disease. If you plan to acquire a degree in nutritional science or teach yourself about nutritional science, there are several key components of nutritional science that you need to learn. The first part of nutritional science is understanding the basic nutrients that are found in the foods we eat on a day to day basis. The next part of nutritional science is learning how food influences our health: weight gain, disease, allergies, etc. Understanding which foods are good for your health and those which are bad is key to being able to help clients. Another key component of nutritional science is understanding how food relates to exercise performance. Whenever exercise is undertaken, the body’s energy demands will go up considerably and different foods will impact exercise performance in different ways. Nutritional science is also going to address how food will correlate to your own disease risk. With heart disease and diabetes on the rise in today’s world – two diseases that can be prevented largely through diet, more people are seeking help to prevent them. When you study nutritional science, you’ll learn what factors most contribute to these diseases and how food can help to reverse the risk an individual sustains. Many people do not realize just how much power they have when it comes to reducing their chances of heart disease or diabetes, so the nutritional consultants role is to help raise awareness and then empower individuals to do something about it. Truly understanding the science goes beyond “just the science”. You need to understand your client’s incentives, motivations, lifestyles, spirituality and other social influences to fully understand nutritional science systemically. With more information coming out regularly on what nutrients and what foods best help beat some of the most prevalent diseases today, this is an ongoing area of nutrition science. Learning will never stop, so you can really grow into this field if you wish. Finally, as you study nutritional science you’ll also learn how to interact with clients so that you can help them learn how to manage their lifestyle better with superior nutrition choices. Many clients struggle to eat healthy for a number of reasons, so nutritional science will look at why this is and what can be done to overcome some of the problems that are in place. Since eating is not just the simple act of fueling the body, but rather, people eat for a wide number of reasons (happiness, fear, sadness, in social environments, etc. ), it’s important to understand how these correlate to food choices, health, and body weight, and then make recommendations for ways to best manage eating in these situations to prevent negative impacts on the body. Nutritional science encompasses many different areas and will provide the learner with ongoing challenges to expand their knowledge and then put it into practice with the clients they work with. The bottom line: Acquire knowledge from multiple sources about nutritional science in order to acquire the power to help yourself and others. As part of any effective wellness strategy, you should meet with your doctor(s) and other members of your healthcare team on a regular basis. You should ensure that you set up the necessary doctor appointments during the calendar year as specified by your doctor (Primary Care Physician). If possible, try to schedule your appointments during the same time period each year. 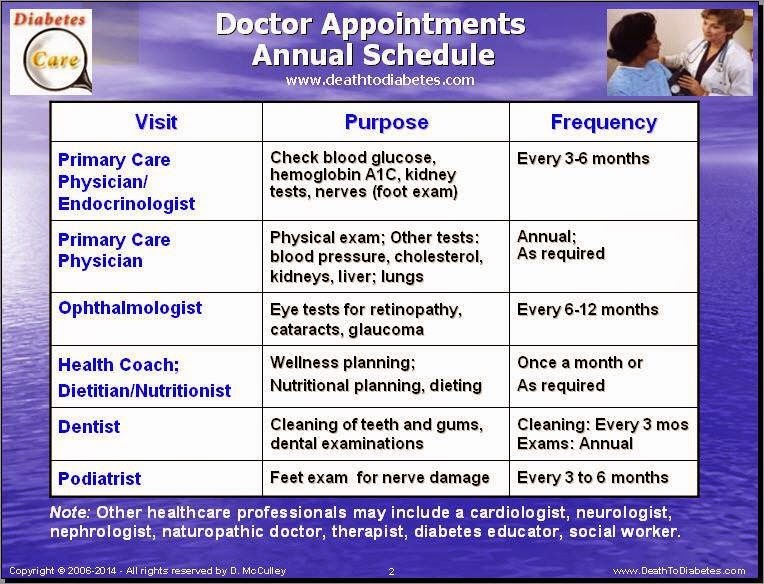 The following is a list of the key doctor visits that you should complete during the year if you are diabetic. You should visit your primary care physician and/or endocrinologist on a regular basis to review your progress, your blood glucose readings, corrective actions, and other notes – at least until you have your blood glucose level under control. Depending on your health needs and your health goals, you should get a complete physical and set of blood work every 6 to 12 months to identify any trends that may be getting overlooked, especially if you’re not making any significant improvements. Note 1: Your healthcare team may include one or more of the following healthcare professionals: cardiologist, neurologist (nerves), nephrologist (kidneys), physiotherapist, naturopathic doctor, or psychiatrist. Other members may include a health coach, diabetes educator, pharmacist, community health nurse, or social worker. 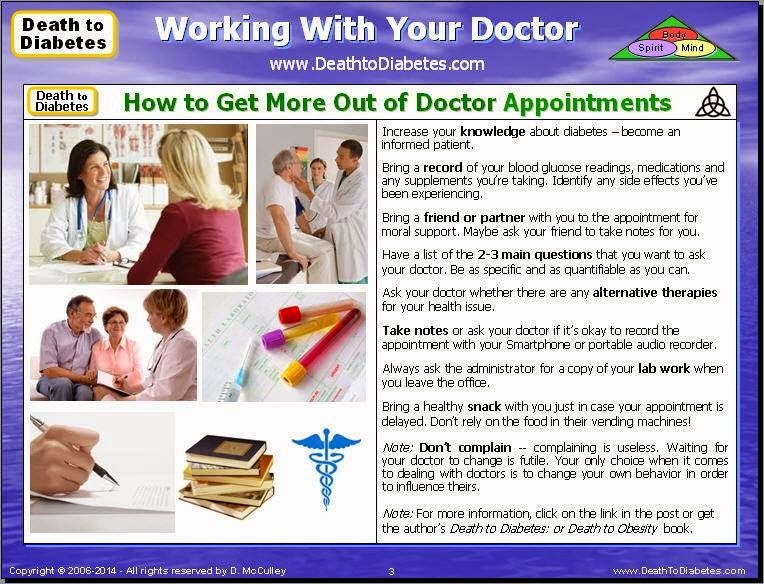 Note 2: If you really want to get more out of your doctor appointments, read Chapter 11 of Death to Diabetes or read the next post for guidelines that you can perform before, during, and after your appointment. If you want to get more out of your doctor appointments, stop complaining about your doctor and use the following guidelines before, during, and after your appointment. This will help you to get more out of your appointments and ensure that you and your doctor are on the same page towards meeting your health goals. Work with your diabetes health coach (and doctors) to determine your overall health goals. Write down your primary health goals. Keep records of your meal plan, blood glucose readings, blood pressure readings, exercise regimen, drugs/dosages you're taking, etc. Note: Use the Death to Diabetes tracking chart, journal, meal planner, and drug chart to help you track and record your all of your data. Research any medical conditions or concerns you may have, by gathering information from reputable websites. Generally, government health websites and those maintained by medical associations, large nonprofit groups dedicated to a single medical condition, and university medical centers have the most trustworthy, up-to-date medical information. Make notes and write down any questions. However, don’t hand your doctor a huge sheaf of printouts and expect him/her to respond to them during your visit. And don’t try to diagnose your symptoms or self prescribe your remedies. It’s still up to your doctor to do that (along with your approval). If you're using a non-drug therapy, verify that it works before you mention it to your doctor. Otherwise, your doctor will either pooh-pooh the non-drug therapy or be offended that you are implying that you know as much as they do. One of the best ways to manage your diabetes is to develop an effective working partnership with your doctor. Your doctor’s role in this partnership is to provide medical advice, offer treatment options and recommend resources. Your role is to monitor your symptoms and blood glucose readings, report them accurately and do what you can to manage your disease on a day-to-day basis. Doctor appointments are very important, but most people come ill-prepared to take full advantage of the time with their doctor. Then, they complain about the doctor not taking enough time with them. Or, they don’t ask the doctor any pertinent questions; or, they don’t bother to take any notes and forget what the doctor told them. The doctor could spend more time with them, but they must first take full advantage of the time that they have with their doctor. Then, they will be pleasantly surprised how well their doctor responds when they take a more active role in their health. The following is a set of guidelines to help improve the effectiveness of your appointments and the relationship with your doctor. If you are unable to establish a better partnership with your doctor, let him/her know your concerns. If there is no improvement with your health, or if you have a concern with taking drugs, consider talking with a doctor in the field of alternative medicine, e.g. a naturopathic doctor (www.naturopathic.org); or, work with a diabetes health coach who has a medical background. Take responsibility for your own health. This may include making necessary lifestyle changes, eating healthy foods, getting enough exercise, maintaining a healthy weight, stop smoking, stop drinking alcohol, and stop using recreational drugs. Ensure that you understand and are completely comfortable with the doctor’s diagnosis of your health, your diabetes, and any other disease/ailment that you may have at this time. A proper diagnosis will enable you to focus on the proper actions that need to be performed to improve your health. An improper diagnosis will lead to incorrect actions, frustration, doubt, and eventually hopelessness. Ensure that you have obtained all the necessary medical diagnostic tests that will provide a correct diagnosis. Key Point: Ensure that the treatment is being designed to repair and heal your body, specifically, the defective sick cells in your body – not just to treat the symptoms of high blood glucose levels. Post the phone numbers for your primary care physician, endocrinologist and other healthcare professionals by your telephone, along with a list of your current medications, other medical conditions and allergies. Call the doctor right away if you experience a sudden change or your symptoms get worse. You should bring your records to the appointment. What if the electronic medical record is down? What if we can’t find your chart? What if you see a doctor in a different system? Although exceedingly rare, problems do occur. Bring organized records of your meal plan, blood glucose readings, blood pressure readings, exercise regimen, and drugs/dosages along with any specific questions that you may have about your numbers. Although your doctor may not care to see this information, it will show how serious you are about your health. If possible, have doctor appointments and the applicable tests performed at regular intervals to prevent confusion and complications. If you have not had a specific test within the recommended interval, ask your doctor about it. Your family doctor will manage most of your diabetes care, but you may be referred to other medical specialists when necessary. For instance, you may be referred to an ophthalmologist for a dilated eye exam or a podiatrist for foot care. You may be referred to an endocrinologist if managing your diabetes is particularly difficult. Your family doctor and other medical specialists work together as a team. Don’t hesitate to ask for a referral if you think it is necessary. Work with your doctor to set reasonable goals for your blood glucose levels, A1C, blood pressure, cholesterol, and homocysteine (if applicable). The relationship between you and your doctor is a special one based on trust and mutual respect. It is important to ask questions that concern you — up front. 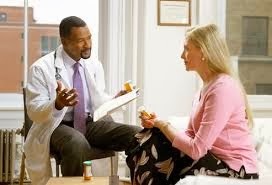 It is normal to feel uncomfortable about discussing certain topics, but, if you don’t tell your doctor, he/she can’t help you. During the appointment, become an active participant in your health planning. Communicate your health goals and concerns at all times. If you show interest, your doctor will be more inclined to provide more help and information. But, if you don’t show a vested interest, why should your doctor? Be honest about whether you’re following recommendations about diet, lifestyle and taking medications. Your doctor can usually tell when you’re not telling the truth. Also, your doctor can suggest strategies to help you get on track. Start with your major concern first. Waiting until the end of an appointment to discuss an important problem may mean it won’t get proper attention. Be specific about your symptoms and pay attention to details. Things that don’t seem important to you may be important to your doctor. The American Society of Internal Medicine has concluded that 75 percent of correct diagnosis depends solely on what you tell your doctor. Speak up but be respectful. Make sure from the outset that your doctor knows you have questions and concerns and expect to be listened to. Don’t be afraid to be an active and assertive patient. If you don’t understand a word, idea or direction, ask your doctor to explain. What is my diagnosis or what is my current state of health based on my physical exam, blood work and other health information? Note! 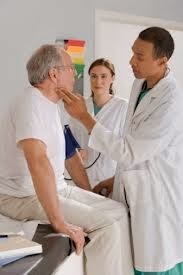 If you have multiple diseases/ailments, ensure that your doctor has taken that into account concerning your diagnosis. For example, a person with high blood pressure and high triglycerides should be evaluated for root causes that are common to both ailments instead of being given separate drugs for each ailment. What specific corrective actions do I need to take to improve my health through natural means (without drugs/medications)? Note: If you decide to take drugs, ask your doctor how long you have to take them and what are the long term effects of the drugs. What is my prognosis? In other words, what is the doctor’s projection of your future health state given his knowledge, expertise and the corrective actions you plan to take or have been taking? Request additional tests if your doctor is puzzled with your health state. For example mineral tests, hormone tests and hair analysis tests (although controversial) can be invaluable in many cases involving fatigue, chronic pain, cognitive/memory, emotions, hyperactivity, violent behavior, learning disabilities, attention deficit disorder, high blood pressure, cardiovascular disease, osteoporosis, arthritis, neurological disorders, weakened immunity, hypoglycemia, diabetes, weak finger nails, and unhealthy skin and hair. Ask your doctor to be honest with you about what you can expect to happen over the next few weeks, months and years. Ask your doctor to tell you the three most important things you can do to manage your health condition. Work with your doctor to develop an effective treatment plan. There may be times when you just don’t think you can do what your doctor advises. 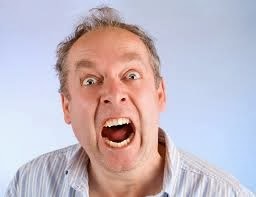 Don’t walk out in frustration and ignore it all. Work with your doctor to find an alternative that is acceptable to both of you. 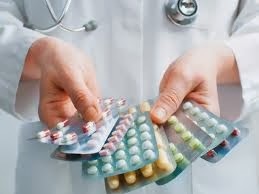 Bring all your medications including over-the-counter drugs, vitamins and other supplements to your next appointment. To avoid drug interactions and over-medication, make sure that your doctor knows about every drug, vitamin and other supplement that you are taking. Before you leave the office, know what you should do when you get home. It’s difficult to recall everything a doctor tells you, especially if you’re nervous or worried. Ask your doctor to write down the important points. Know who to call, and when to call, if you run into any problems. Ask for copies of your lab results at your visit. This way, you can keep an accurate health history. Understand how well you are progressing and what actions to take, based on your doctor’s diagnosis. Don’t forget to follow up with your doctor after the appointment, especially, if there was something that you didn’t understand. If this isn’t working to your satisfaction, don’t sit around and complain about your doctor. In most cases it’s not your doctor’s fault, so make sure that you are doing everything in your power to improve your health. Discuss your concerns honestly with your doctor. If you are doing your part, and the relationship with your doctor has not improved, or your health is not improving, then, find a new doctor. Many doctors are heroes because they save lives every day. So, why are so many of us unhappy with our doctors? According to a recent study, 21% of patients were dissatisfied with the care they received from their doctors. To make matters worse, health issues such as high blood pressure, high cholesterol, diabetes, and obesity are on the increase. This, in turn, creates a bigger workload for most doctors, who complain that they don't have enough time to provide the quality of care that most patients expect to receive. For example, a disease such as Type 2 diabetes is a very difficult disease for most doctors for several reasons. First of all, your doctor doesn't have the time to ask you a lot of questions about what your meal plan and exercise regimen. In most cases, your doctor is running behind schedule, so he/she needs to make a snap decision concerning what to do about your diabetes. Doctors are trained to provide solutions in the form of prescription medications and, if necessary, surgery -- that's what your doctor and all the other doctors have been taught in medical school. So, we should not get upset with our doctor when he/she cannot provide a better alternative (non-drug) solution for your health problem. Also, that doesn't mean you should totally ignore your doctor and stop seeing him/her. In many cases, it's simply poor communications. In addition, there are certain things that Western Medicine does very well. So, it would behoove you to take advantage and reap the benefits of Western Medicine and its technology. If you want to get more out of your appointments, there needs to be better communications. To help you with better communications, it is important for you to understand how your doctor thinks and how to use that to your advantage. And, even though we may not enjoy our visits to the doctor, we know that it is a necessary practice if we want to be proactive in taking care of our health. It seems that no matter our age, gender, or position, while we're waiting anxiously in the doctor's office, we feel like we're back in high school, waiting in the principals' office to find out what you did wrong. Finally, your doctor shows up (usually late) and says something innocuous like: "Well, how are we doing today?" We're not sure what to say, so we usually say something just as innocuous, like: "I'm fine." 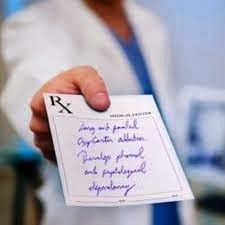 After reviewing your medical history and your most recent lab work, your doctor pulls out his little notepad, scribbles out a non-readable prescription, and hands it to you, saying something like: "This should take care of your problem. See my secretary on the way out." Or, your doctor may say something like: "We need to run some more tests. Please see the nurse on the way out." You try to say something or ask a question, but, you're either ignored, interrupted or your doctor says something like "Time's up." as he/she skates out of the room onto the next appointment. And, that's it! You've just spent anywhere from $50 to $200, depending on the amount of lab-work, the scope of your exam, where you live, and whether or not you have insurance. For a 15-minute appointment, that works out to a nice hourly rate of $200 to $800! And, more than likely, you're not happy with the appointment. But, who's fault is it that things didn't go the way you wanted? It's easy to blame it on the doctor, but, in most cases, it's our own fault for not getting prepared before the appointment. We try to "wing it", but winging it just never works. Instead, you should do a little planning before the appointment, i.e. write down 1 or 2 questions that you want to ask, carry a little notepad with you -- that will show the nurse and the doctor that you're taking responsibility and accountability for your health. Refer to the previous blog post (Doctor Appointments & Tips) for more ideas about what to do before your next doctor's appointment. We want to trust our doctors and believe they are superb at what they do. The alternative is too unnerving to consider. Yet the thriving medical malpractice industry proves that our doctors don't always deserve our devotion. Sometimes they disappoint us, endanger us, treat us like children, and ignore our input. Or do they? Maybe the problem is with us. Maybe we just don't know how to talk to them. Whoever is to blame for the miscommunication, both sides pay dearly in health and money: 70 percent of all medical malpractice suits are filed not because of technical negligence but because the patient misunderstood the doctor. Medical schools have been paying more attention to this problem lately, and the new generation of doctors is supposedly trained to listen, be empathetic, and look beyond the most obvious diagnosis to see if a patient's problems might be more complex. But while doctors are trying to improve their bedside manner, reality is undermining them. Doctors today have far less time to spend with patients than they did twenty years ago, mostly because of the paperwork demanded by HMOs and insurance companies and the patient load required to make ends meet. In the typical practice, a visit with the doctor lasts 7 to 15 minutes—and is interrupted within the first 27 seconds by a nurse or a telephone call. And, if you’re diabetic with a bunch of blood glucose readings, you find that your doctor doesn’t have the time to really pay attention to your data and your health concerns. This can be a little disconcerting, since your doctor was the one who told you to collect the data in the first place! Meanwhile, doctors who think they are improving their communication skills are often mistaken. One study asked physicians how much time they spent educating their patients. "Nine to ten minutes" was the most likely response. In reality, it was about one minute. And patients clearly need the education. Another study highlighted the sorry state of patients' "medical literacy": more than 40 percent of patients couldn't understand instructions that indicated they should take a certain medication on an empty stomach. Even the most well-meaning doctors regularly fail their patients by overestimating their knowledge of medical terminology and rushing through the exam. Patients complain that doctors don't ask their opinion, don't explain the side effects of drugs, don't take an adequate medical history, don't warn them properly about the difficulty of recovery, don't take their pain seriously, and discourage questions—and that's just a short list of grievances. Complaining is useless. Waiting for your doctor to change is futile. 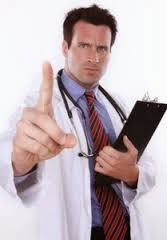 Your only choice when it comes to dealing with doctors is to change your own behavior in order to influence theirs. Again, refer to the previous post for a list of specific things that you can do to get more out of your appointment. As a group, doctors don't inspire much sympathy, yet in order to get the best treatment you must be able to see things from their point of view. Like all of us, doctors have feelings and fears that influence their work. First, consider your doctor's mission: to heal you. If he can do it, he is a success. If he cannot, he thinks he is a failure—and doctors hate to fail. You may feel powerless in his presence, but in fact his self-esteem depends on you. Will you heed his advice or ignore it? Will you refuse his treatment? Lie to him about your symptoms? Snub him for another doctor? Occasionally, even if you follow the doctor's instructions, you won't get well. His skills will fail you and so will the medications. This is a doctor's greatest fear and a source of constant anxiety – especially when it comes to a disease like diabetes. Doctors assume that the medication is going to work. That's what they were taught in medical school. If the medication doesn't work, the first thing that the doctor thinks is that you didn't follow the instructions, not that there was a problem with the medication. When the doctor looks at your lab work, he/she quickly surmises that you need a medication for something -- usually for high blood pressure, high cholesterol, or high blood glucose. Although you brought your blood glucose readings data with you, your doctor doesn't have time to review your blood glucose readings. In this particular scenario, the diabetic patient has more data than the doctor! Doctors are not used to this! This makes them uncomfortable, so they tend to ignore your data -- because they've already determined what medication to put you on or whether to increase the dosage, or switch you to a new medication. And, because diet is so important to diabetics, this is also unnerving to most doctors. Why? Because most doctors know very little if anything about diets and nutrition. In medical school, most doctors end up taking at the most a 3-hour course in nutrition – a course that most of the doctors skip or ignore. 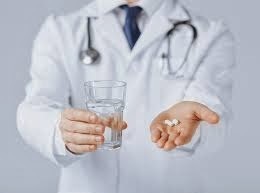 Doctors are schooled to diagnose illnesses and prescribe some kind of pharmaceutical treatment as quickly as possible. With most internists logging about 150,000 office visits in their careers, speed and accuracy are highly valued. Being right is important, but being fast is the mark of a real pro. 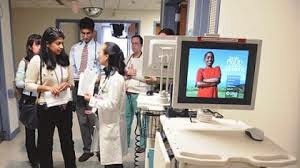 In surveys, medical literature, and interviews, doctors repeatedly admit to diagnosing the typical patient within just 30 seconds of walking in the examining room. "It is subsequently quite easy to go on autopilot," writes Victoria Maizes, M.D., in American Family Physician. Instant diagnoses, followed by formulaic, half-interested questions, thus become their normal mode of operation. Maybe it's not the way Marcus Welby would have done it, but it effectively propels them through their overpacked days. The doctor is primarily focused on your symptoms so that he can quickly map your symptoms to a specific prescription drug. 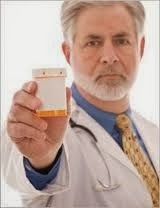 As a result, most diabetic patients end up on at least 2-3 medications: a drug for the diabetes, i.e. metformin (Glucophage), glipizide, glucotrol; a drug for the high blood pressure, i.e. Lisinopril, hydrochlora-thalizide; and a drug for their high cholesterol, a statin such as Liptor, Zocor or Crestor. Another more troubling aspect of doctors' training is the well-known desensitization that takes place in medical school and during a physician's internship. It is a grueling trial by fire as the student is thrust into a world of pain, suffering, and death with very little emotional support. Barbara M. Korsch, M.D., who has devoted much of her career to studying doctor-patient communication, wrote a book on the topic: The Intelligent Patient's Guide to the Doctor-Patient Relationship (Oxford University Press, 1997). In her book she explains that in medical school the emphasis is on anatomy, chemistry, and other hard sciences, with little or no attention paid to the human aspect of attending to the ill. "When third-year students have their first intense encounter with real patients, they are faced with sickness and death in very large doses." As the years of training continue, "students' inner conflicts with facing illness and death become more and more acute. Their role models, the attending physicians, often behave toward them (and their patients!) in ways that are not very human....One of the goals in the education of physicians is to 'professionalize' them, to toughen them up." When the training is finally over, relatively few doctors emerge with their empathetic equipment intact. Korsch says that doctors "turn away from emotion. They are not trained to deal with feelings." This detachment is very hard to unlearn. It doesn't have anything to do with a doctor's talent, but it does affect the way he treats his patients and the success of his practice. 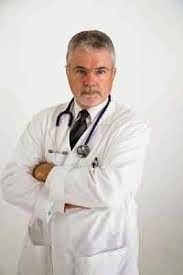 On the one hand, doctors with lousy people skills have trouble keeping clients and attract more lawsuits; on the other, doctors who aren't emotionally tough are likely to burn out and become unable to function. Today's physicians, then, are constantly grappling with opposing forces. They want to solve your problem but must do it quickly, which automatically increases the likelihood that they will make a mistake. They depend on your compliance but you can defy them at will, which undermines their chances of success. Theirs is a people-oriented profession, yet they learn few social skills and have much of their natural empathy squeezed out during medical school. They must operate within ever-shrinking time and money constraints, even as patients are becoming more proactive and demanding more attention. They are expected to take control but are constantly being second-guessed by insurance companies, HMOs, and the patients themselves. The result is that doctors are under a lot of stress. The power, respect, and money that once compensated for the tensions of the job are eroding. They spend more on insurance and keep less for themselves than they once did. Some doctors are even forced to change specialties because they can't afford the malpractice insurance. These healers, who at one time held themselves above the fray of commerce, are now neck-deep in it—resentful, frustrated, and concerned about the level of care they are able to provide their patients. So when the doctor walks into the examining room and you're laid out on the table like a piece of pastry, remember: underneath the trappings of power, he too may feel anxious and vulnerable. Physicians constantly complain that patients don't share crucial information about their symptoms and lifestyle. This is ironic, since patients' number-one complaint is that doctors don't seek their opinion. It seems as if patients are forever waiting for the doctor to ask just the right questions, while doctors are waiting for their patients to go ahead and spit out the facts already. It is up to you to break the impasse and start speaking up in the doctor's office whether or not he asks you the right questions. In fact, speaking up is the single most powerful thing you can do for your health. 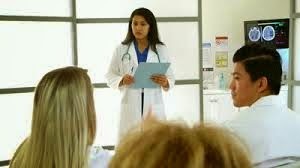 About 70 percent of correct diagnoses depend solely on information the patient tells the doctor, according to an analysis done by the American Society of Internal Medicine. Once you understand the mind-set of doctors, you can choose behaviors that will put them at ease while you draw information out of them. The most important strategy is to keep your voice steady and calm. Doctors are afraid of emotion, so the less you show, the more comfortable they will feel. Barbara Korsch explains: "If you put drama in your voice, it will turn the doctor off. Be quantitative and objective instead of saying how you feel. This is unfortunate; doctors shouldn't be that way, but in my studies we've learned that they are." When you seem desperate or panicky, when your voice is trembling with anxiety, the doctor's first reaction will be to try to tone it down. "Your emotional reactions engage doctors less than describing what it is you're reacting to," says Korsch. In addition to using a neutral tone of voice, the following words and deeds will keep you in the doctor's good graces. Use neutral words to describe feelings. Be concerned instead of scared. Be apprehensive instead of a nervous wreck. In everyday life we tend to exaggerate to get results, but with doctors you have to go to the opposite extreme. Even if you are in agony, try not to use those words. Instead say, "I have a lot of discomfort." Use specific words to describe symptoms. "I haven't slept a wink," doesn't tell a doctor much. Instead say, "I've been averaging only four hours of sleep a night, and I usually get seven. I've been waking up every hour or so, and it takes me at least 20 minutes to fall asleep again." Talk about the most important things first. Doctors are very time-sensitive and will (understandably) be annoyed if you wait until the end of your visit to bring up a problem that requires some time to address. Make your expectations clear. 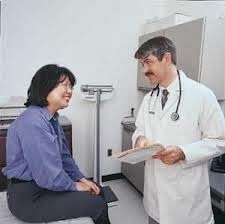 At the beginning of the visit, tell the doctor exactly why you are there and what you hope she can do for you. Acknowledge the doctor's situation. If the office is jam-packed and everyone seems stressed out, let the doctor know you're on his side: "It must be hard for you today, so I'll try to be concise." Be clean. Personal hygiene does matter. If you smell bad, the doctor will want to get away from you, just as anyone else would. Keep in mind that most doctors believe that patients have a lot of misunderstanding about medicine, because their information is based on what they've heard from a friend or read on the Internet. 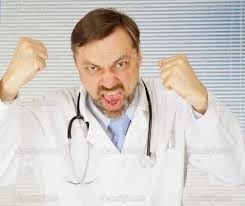 Most doctors are offended when patients start to "play doctor" and provide their own diagnosis. 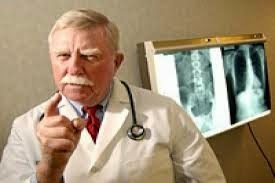 So, when a patient arrives at the doctor's office armed with information, this can create unnecessary tension especially if the doctor pooh-poohs the information without any rational reason. In order for your doctor appointments to be more productive, read our next blog post, which discusses some steps that you can take before, during, and after the appointment. This information is also in Chapter 11 of the Death to Diabetes book.